ej4 helped Burke Beverage embrace a culture of preventative safety training through engaging, accessible video training content. 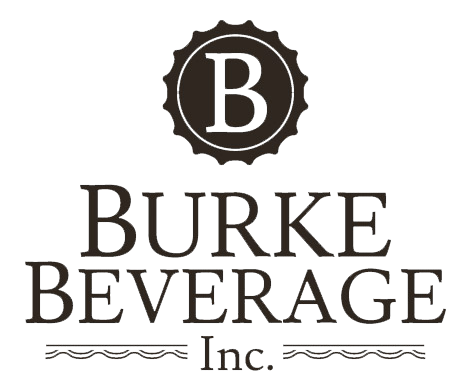 Burke Beverage has been a family-owned and operated beverage distributor providing world-class service in the beverage industry since 1979. Patrick Fitzgerald, the Space Management and Quality Assurance Manager, has been with Burke Beverage for over four years and inherited the company's LMS, Thinkzoom, when he took on the job. When Patrick arrived at Burke Beverage, safety training was not organized and Thinkzoom was under-utilized. He wanted to change the company's safety training culture from reactive to proactive. Patrick's challenge was implementing training requirements that would fit the busy schedules of his often out-of-office employees who didn't have full-time access to a desktop computer. Through Thinkzoom's easily accessible, mobile, and comprehensible training content. Patrick was able to create a revamped training program that put awareness and prevention at the forefront. Many of Burke Beverage's employees work in a warehouse or on-the-road sales setting, which doesn't give employees a lot of time to complete a training session at a desktop computer or in a classroom. Burke's workforce also had a varying comfort level with technology. Thinkzoom provided a simple and easy way for employees to access training content, whether at a desktop computer or on mobile devices. From an admin perspective, Thinkzoom made it easy for Patrick to assign deadlines and schedule content to be due when it was most relevant. "We were catering content to topics that were relevant at that time of year. For example, we assigned "Driving in Hot Weather" to be completed by April, before the hottest parts of the year," explained Patrick. "We're trying to get as much safety information up-front as possible and it pays off." By putting courses into department-specific groups, content was easy for Patrick to organize and easy for employees to find. With a workforce of busy employees with varying responsibilities, Patrick knew that any training that he administered would have to fit into their busy schedules. "We needed training that wasn't too short, but that was to-the-point," Patrick said. 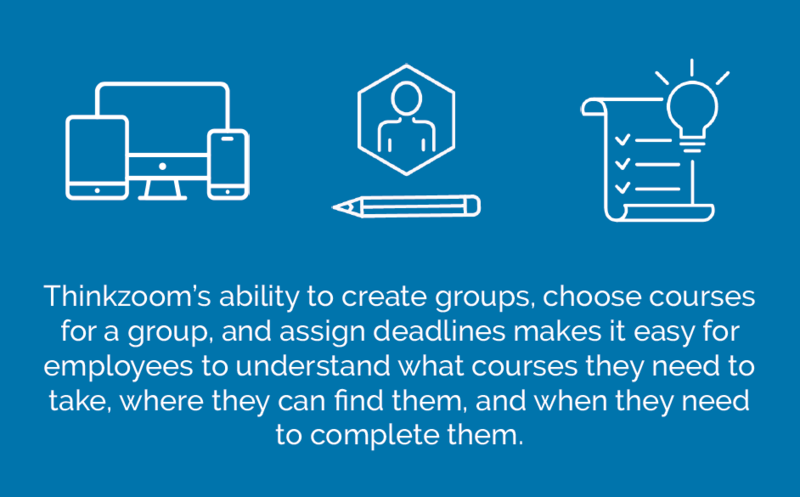 Thinkzoom's ability to create groups, choose courses for a group, and assign deadlines makes it easy for employees to understand what courses they need to take, where they can find them, and when they need to complete them. The microlearning format and ability to access training from mobile devices kept employees where they were most needed - out of the office selling! Patrick's needs were focused on safety training, but the wide array of topics that Thinkzoom offered got the attention of other parts of the company as well. He was able to customize the platform to fit the needs of different departments within the organization by making more groups, such as groups of courses for directors, marketing, executives, warehouse managers, and more! This allowed him to put each department's relevant training content in a place they could easily find it. After having such success with safety training, the sales team started engaging in business skills training, and sales managers started using customer service and sales topics to train new employees. Since Burke Beverage embraced a culture of preventative safety training, employees have proactively engaged with training content and made safety a top-of-mind topic. Employees are engaging and re-engaging with content as-needed and putting the safety of themselves and others first. Patrick's success with safety training inspired other departments to adopt more proactive training, and the result is a company culture that puts employees' safety first. For additional reading on creating a safe and compliant workplace, check out this content!